Perhaps you long for the company of a deeply charming companion, with character and looks to sweep you off your feet. Perhaps you are that dark and mysterious individual. Either way, this Joe was created just for you. Let the aroma take you away as you stare into the dark-roasted perfection before you. Indulge your senses. Individually sealed for freshness, 40 count box, compatiable with 2.0 brewers. Paramount Coffee Company; one of the largest & oldest coffee roasters in the Midwest. If you're looking for coffees from Kenya or Costa Rica, Fair Trade, or popular flavored coffees like pumpkin spice, Jamaican Me Crazy, hazelnut, or perhaps a great dark or medium roasted coffee, Paramount has something for you. Our expertise dates back to 1935 when we provided restaurant coffees to fine dining establishments, growing to become the primary coffee roaster in Michigan. Whether you use a single cup coffee maker, home coffee machine, French press or other methods, if you're brewing Paramount coffee your favorite coffee mug will be filled with perfection. Paramount uses only 100% Arabica green coffee beans. Store coffee in tightly sealed package away from heat and direct sunlight. When you choose Paramount, you're choosing the coffee experts that proudly hold numerous certifications; Paramount is a Certified Organic Roaster, Rain Forest Alliance Certified, a Fair Trade partner. An employee owned, and socially responsible company that partners with Grounds for Health, which supports health programs for women. Being SQF Level 2 Certified assures you that food safety is a priority. Paramount coffees are Kosher certified and gluten free. 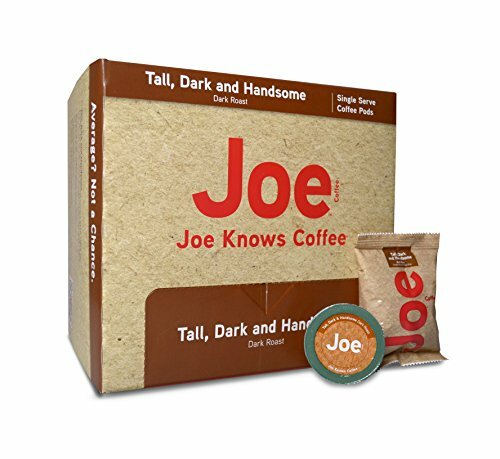 Joe Knows Coffee is not affiliated with, nor approved by Keurig, Inc. Keurig and K-Cup are registered trademarks of Keurig Green Mountain, Inc. If you have any questions about this product by Joe Knows Coffee, contact us by completing and submitting the form below. If you are looking for a specif part number, please include it with your message.